This movie review is part of our newly launched column highlighting the voices of young leaders in our community. 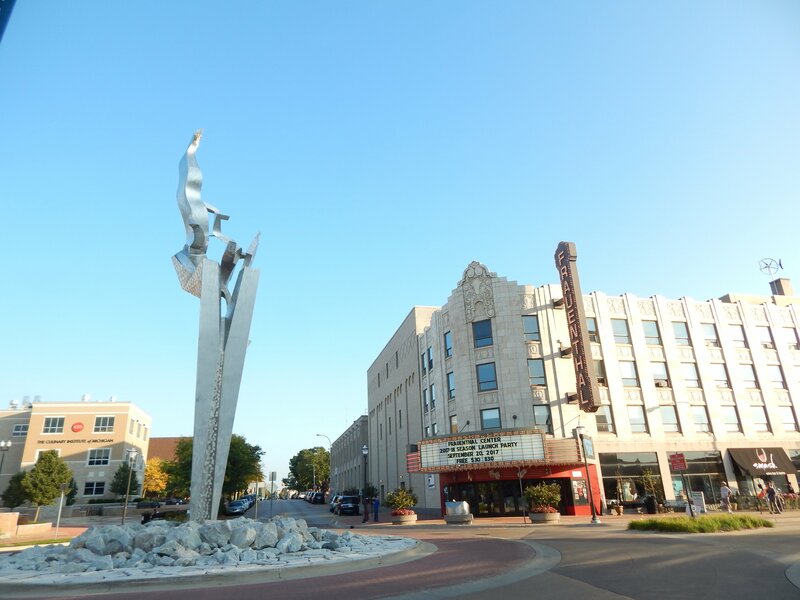 Indeya Roberts, the author of this review, is a junior at Mona Shores High School. 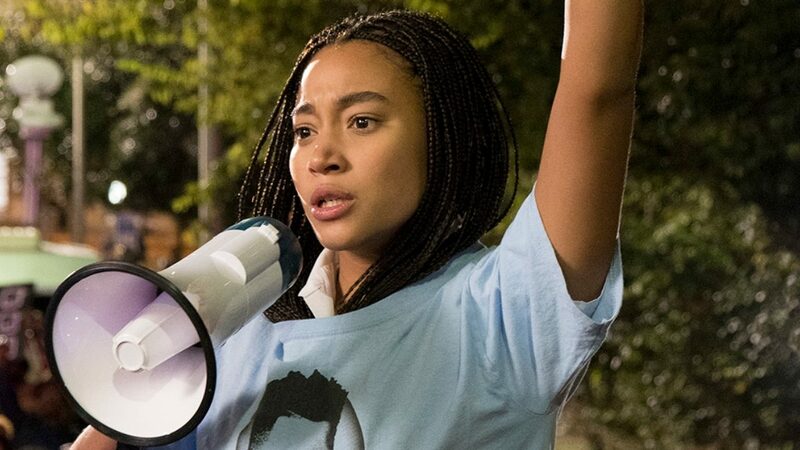 “The Hate U Give” is a story of an African American teenage girl named Starr. She is directly affected by police brutality after her childhood best friend, Khalil, gets shot right in front of her in the “hood” by a Caucasian police officer mistaking his reaching for a hairbrush for a gun. This movie is very important to me because it highlights the problems we as black people face every day and how toxic it can be to deal with them. 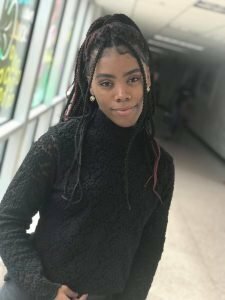 Starr attends a predominantly white school, Williamson Prep, and the movie highlights how she is conflicted between how she is at school and how she is in her own neighborhood. When at Williamson, she can’t act “too black” because people will think she’s “ghetto.” But when she’s at home in Garden Heights, she can’t act “too white” or “talk white.” After this awful incident happened, Starr’s world was turned upside down. She wouldn’t talk about what happened at school because she was scared of what people may think of her if they knew she was the witness. So she sticks to her plan of code switching. I even started changing how I dressed and how I talked so I could feel more accepted. After years of changing who I was and letting certain things slide, I found my voice. I spoke up for what I believed was right, just like in the movie. This happened to Starr, too. Her friend, Hailey, got out of hand speaking about the shooting. She said Khalil was probably a drug dealer and a thug, and how the world is better off without him. Starr and Hailey had a confrontation, and out of anger and frustration, Starr found her voice. She spoke up for herself and spoke up for Khalil in front of a grand jury, even though there were people who threatened her family and wanted her to stay quiet. She ended up seeking justice for him and for the rest of the black community. I think it’s important for young women and men to see this movie because we as people of color have to stand up for what we believe in. We need to find our voices. This movie helps us to find our voice. Now we need to use it.